Here at Oyster Worldwide we want to know about your holiday selfie habits. How many selfies do you take while you’re away? Do you prefer Facebook or Instagram for sharing your snaps? How many of your friends’ holiday pics do you want to see on your newsfeed? 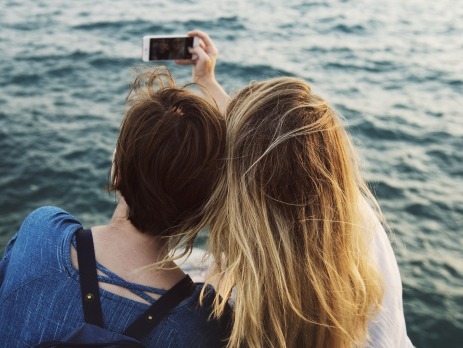 We’re gathering insight from around the world about the role that selfies play in our modern-day holiday experiences and we’d love to hear your thoughts. Fill us in on your holiday selfie habits by completing the survey below, and you’ll be entered into a prize draw to win a travel essentials kit, perfect for your next adventure! One lucky winner will receive a travel essentials kit packed full of goodies, courtesy of Gap Year Travel store, for your next travel adventure. Competition closes on Sunday 7th May at 11.59pm. Please read the full terms and conditions before entering. If you would like to take part in an Oyster programme complete an online booking form through our website! Thailand diving in July – can’t wait!